We are Reputed Social Media Management Company (Digital Marketing Services Provider Company) in India, who provides innovative, versatile & impactful Services in Social Media Marketing (SMM), Social Media Management (SMM), Social Media Optimization (SMO), Social Media Consulting, Social Media Monitoring, Social Media Marketing Strategy, Social Media Advertising, Social Media Influencer Marketing to deliver successful and outstanding results in Brand Management, Cross-Channel Marketing, Qualified Traffic, Qualified Leads, Loyal Customer Relationship, Followers, Likes, Shares, Separate Management of Individual Social Media Account, Social Media Monitoring, Overall Sales, ROI, ROAS. We Harness the power of Digital and Social Media Cumulatively. B) What is Social Media Marketing (SMM)? E) Social Media Reporting and Analysis. F) What Are The Benefits Of Our Social Media Marketing Services? Hey friends, hope you all are doing well with your Business and are in the search for a best successful result giving Social Media Marketing Service which can boost your Business with the increased revenue. If you are here and interested to join us (Omkara Marketing Services) then surely it won’t be just your dream so far, but we all together with you will put complete efforts to make it rea if you join us. B) What are our Social Media Marketing (SMM) Services? 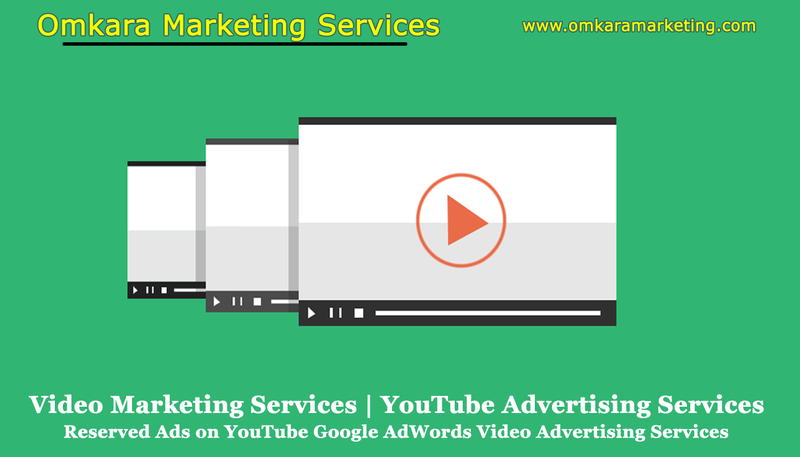 Social Media Marketing Services | Social Media Marketing Strategy | Social Media Monitoring | Social Media Manager | Social Media Optimization - By Omkara Marketing Services. 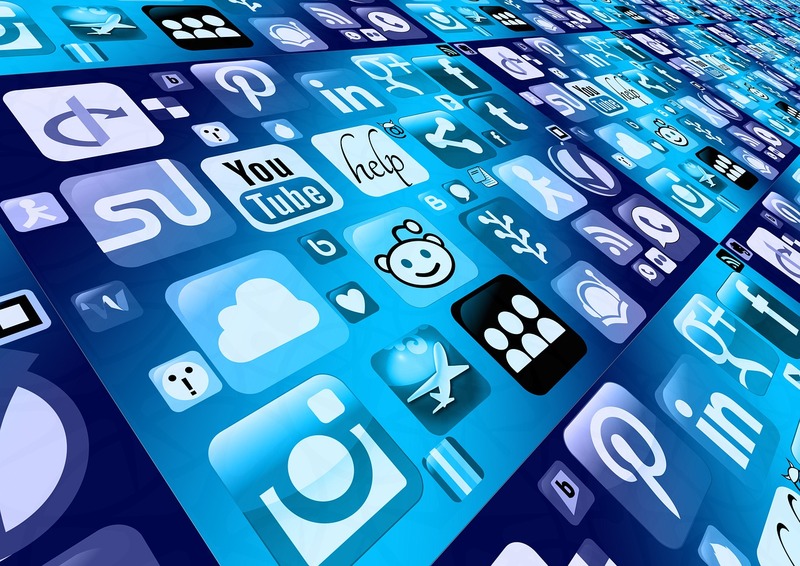 Social Media Marketing (SMM) is the process to use the Social Media platform and its resource to promote your brand in front of millions of its users in an efficient and effective way that allows you to target specific groups of the market audience with ease, leading to an eventual increase in traffic to your website. 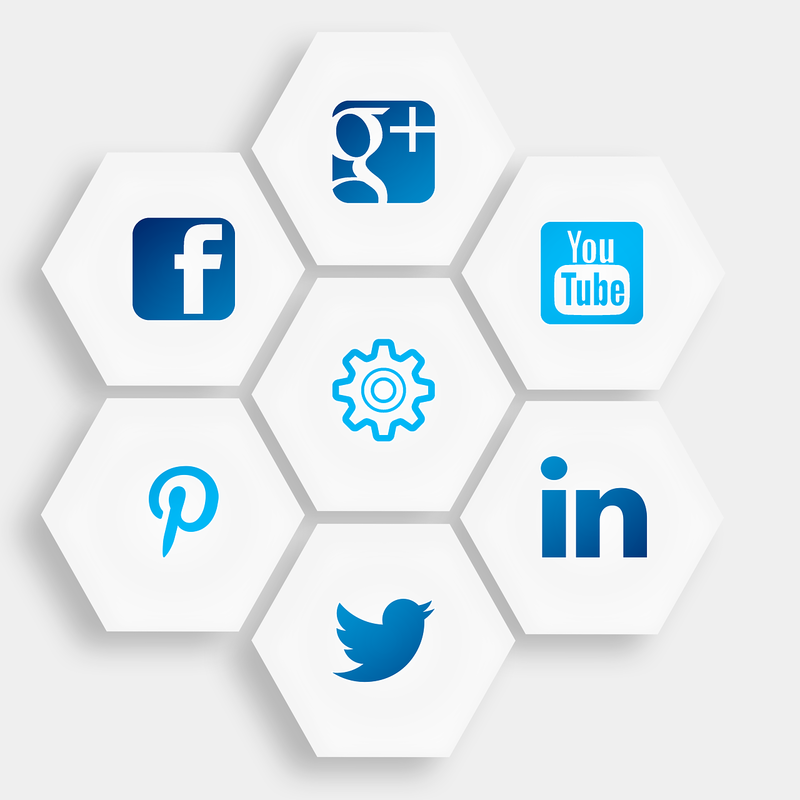 We with Social Media Marketing Services provides the paid advert strategy for the specific platforms. Social Media Marketing (SMM) focuses more on using Social Media Sites/Social Networking Sites/Social Networking Apps/social media channels to generate interest, views, sales, and interaction with a company or its products and services using paid social media marketing campaign/social media campaign management provided by individual social media platform. Social Media Marketing (SMM) is a process to market your business on social networks. Social Media Marketing (SMM) is about activities that are done off-site, for instance, participating in online communities to have direct interaction with your customers forms an active part of SMM. After optimizing your website, it’s time to share and publicize it online using paid social media campaigns on various Social Media Sites/Social Networking Sites/Social Networking Apps/social media channels for the people to know about your brand, its product and services and to show interest in them. It plays more of an active role by referring to the creation and sharing of content and other messages through the social web by means of viral marketing. One cannot deny the active role played by the Social Media Marketing (SMM) in relation to social media by referring to the creation and distribution of content and other messages through the social web by some form of viral and paid marketing. 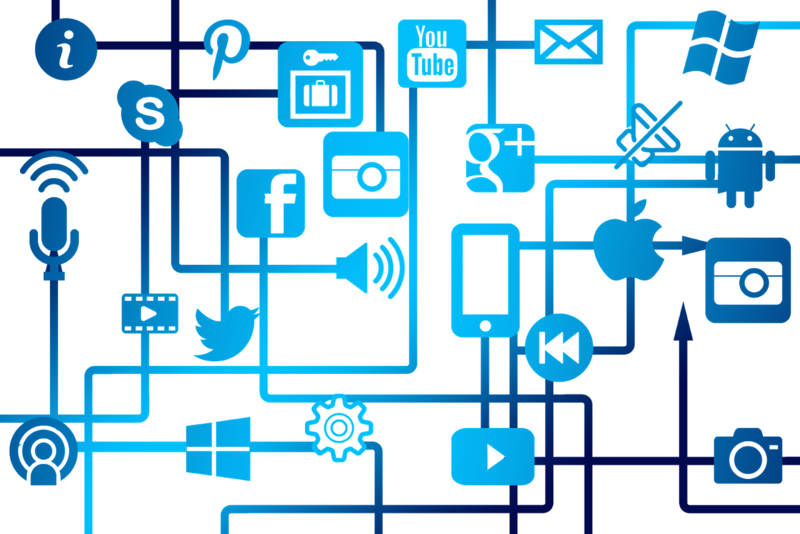 Social Media Marketing (SMM) includes concentration on posting updates, social media campaigns, monitoring campaigns, their analysis & reporting, social media customer services, and branding activities; all these make SMM a long-term process. 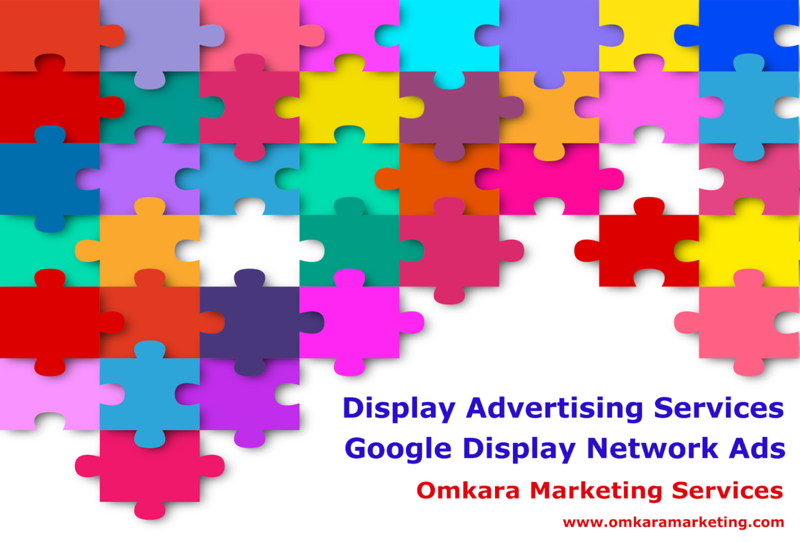 D) What do we (Omkara Marketing Services) provide in Social Media Marketing Services (SMM)? As explained above Social media marketing (SMM) is a form of Digital Marketing that utilizes social networking websites as a marketing tool. The goal of SMM should be well defined such as Brand Awareness which achieved by producing content that maximum users will see it or like it or share with their social network or comment on it to help a company increase brand exposure and broaden customer reach. Social Media Marketing is the practice of advertising business in the most engaging way consistently. Learning the best time to post, knowing what your audience will like, etc. are part of social media marketing. 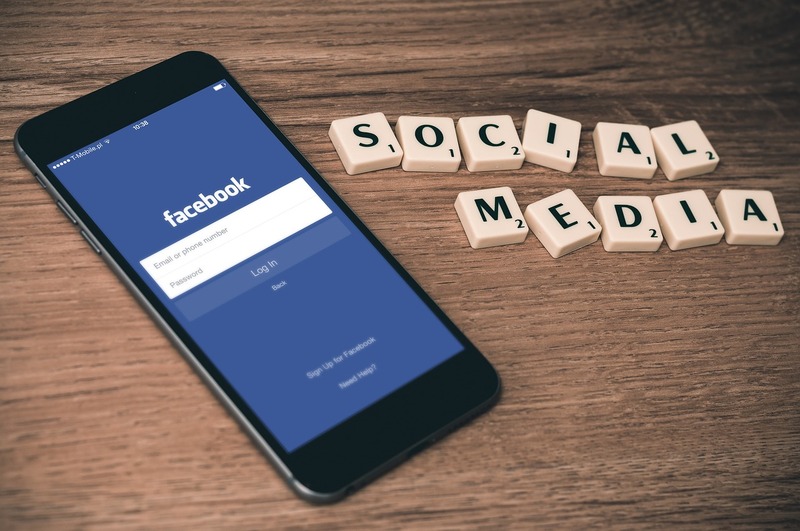 Social Media Marketing (Advertising) is Push Marketing to target audiences on specific networks through demographic information so targeted consumers can see your brand in their feeds. It works really best when done right. But pushing paid content in front of random social media users isn’t going to work or perform well at all, indeed it will cause you to waste money, online reputation also. You have to be strategic with your ad spend, content selection, targeting frequency and audience demographics. That’s why we’re here to help ease the problem of fading organic reach to get your strategy not only working but well-tuned to generate good ROI. Imagine in the Football game if there is no net then what will happen and why players will play and till when they will play? In the game of Football, the goal set is to put (kick) the ball in the Net. In a similar way, while practicing the Social Media Marketing (SMM) Service it is the first step to fix the Goal that why or for which purpose do you want to use our SMM Service? That is for which purpose or goal we should provide our SMM Service to you? 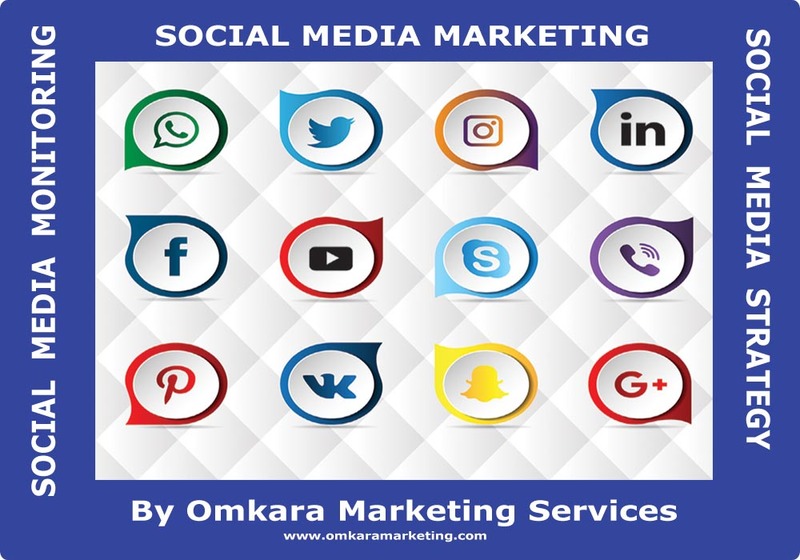 We (Omkara Marketing Services) help, before choosing one or more than one right social media platforms, you to define the goals, (and then after the network, the target audience get selected) which is needed at any given point in time to solve its’ challenges and how you will gauge success. A campaign goal represents the outcome which will be measured when SMM campaign starts running. Social Media Campaigns goals make it easier to understand the performance of your ads quickly. It’s senseless or no one cannot start somewhere without knowing what your goal is or what you want to achieve with SMM Service. Engagement Marketing: having customers actively participate in the brand and driving them to take action. Testing new offers or detecting needs by involving communities and even co-creation or crowdsourcing where applicable. Analysing, Reporting in real-time what drives social engagement and how customers in the broadest sense engage and what keeps them and their connections busy, regarding and beyond your brand, industry or category. Creating awareness and increase credibility by storytelling via relevant content (where social media once again meets what is known as Content Marketing). Selling by focusing on the buying process and the touch points leading to the actual purchase. Maintaining strong relationships with your best customers in order to up-sell, reduce churn and even turn customer loyalty into brand evangelists through social proof. Community Marketing identifies and nurtures online communities of people with shared interests and/or traits. Traffic (Offline/Online): We select this Goal if you want maximum numbers of visitors or customers on your website/app. Traffic goals boost your total unique visitors and page views. This goal is perfect if you’re looking to promote a new site, brand, product or sale/deal. Awareness/Reach/Visibility (Offline/Online): We select this Goal to achieve an increment in the awareness of your brand leads to more purchases, recognition and loyal customers. Awareness/Visibility goals are great for increasing reach and impressions, which is ideal for brand awareness campaigns. Engagement (with Website/App/in Store): We select this Goal if you want customers to get engaged with your posts. Engagement is measured by shares, comments, likes, and retweets can help you understand what content works best. It also allows your brand get the conversation going with users. Lead Generation (Offline/Online): We select this Goal if you want to generate leads for your business. This Goal also helps to bring prospects into your funnel. Conversions/Sales (Offline/Online): We select this Goal if you want to customers purchase your product or service package (Online / Offline). If you are retailer then this Goal perfectly suits you. Video views: We select this Goal if you want to increase view of your Video. App installs: We select this Goal if you want to increase your App Installs. Insert the screenshot of Facebook Campaign Objective. We know that every social network has its own characteristic, features and requires a different strategic approach for a business to run their strategy to become successful on it. We truly understand the limitations, psychographics and content cravings of each social network and hence its user base. Will this channel perform well for your business? Will this channel’s demographics suit your products or services? Are your Customers, Prospects spend time and perform valuable activities on that network? Which types of Ad Formats I will be able to use on that platform? We select the more targeted or broad audience depending upon the Goal already defined because more the audience is well-aligned w.r.t. the goal, the better your ads will perform. We often avoid to select the larger audience possible but filter down it to users most likely to resonate with your ad. We work very strategically with your ad spend, content selection, targeting frequency and audience selection. We usually consider Location, Languages, Interests, Behaviours, Demographics, Circles, Friends, Followership, Engagements, (Likes, Share, and Comments), etc. factors while defining Target Audience for your Social Media Marketing (SMM) Campaigns. It is very well known to everybody that technology, users behaviors, market competition, and many other factors change continuously so it is not possible that any setting is done by us for your Social Media Marketing (SMM) Campaign will work ineffectively with your campaign. Therefore one Ad cannot be enough to determine whether or not your SMM campaign is generating positive ROI or not. We conduct the experiment and test different variations of your ad creative which is called as A/B Testing. This A/B Testing includes Adjustment to the Ad Copy, image and audience to find the sweet spot, bid, budget, topics, content types, a tone of voice etc. We may conduct these tests both with organic posts and with paid posts that you run for a short period of time in front of a small audience. Ultimately you are paying to get content in front of people, so it becomes our stance to optimize the campaign to make that investment worthwhile. Budgets and bids are nothing but the fuel of your SMM so we work cleverly on this part to see this fuel doesn’t get wasted and produce utmost successful results for you. We think it is equally important to keep a watch on every movement of your Competitor and we sincerely play this crucial role in social media marketing. We thoroughly monitor your competitors and their community to discover the best plan for your business. Social Media Marketing is basically based on the content. We keep our focus on the Content to be used in SMM and always use valuable, relevant, eye-catching, seductive Content. We respect to time in our services whether it is Social Media Marketing (SMM) or any other Digital Marketing Services because time is the only thing which makes everything relative and sensible. Therefore the time you post (organic or ad) on Social Media is just as important as what is posted by you. What’s the point in sharing an amazing photo on Facebook if your audience is absent (offline) at that time? Everything in excess is always harmful. Therefore we take care that for how many time your paid posts in Social Media Marketing (SMM) Campaign should be shown. This also helps to save your Budget getting spent on a unique user without yielding any result. Remarketing is a feature that lets you customize your Social Media Marketing (SMM) Campaigns for people who have previously visited your website, your social media profile pages, your videos, video channels and tailor your bids and ads to these visitors when they are on respective Social Media Platforms. In case of Google’s Search Network Remarketing feature lets you customize your search ads campaign for people who have previously visited your site, and tailor your bids and ads to these visitors when they're searching on Google and Search Partner Sites. When people leave your site without doing any conversion related action, buying anything, for example, remarketing feature for (SMM) Campaigns help you to connect with these potential customers when they are on Social Media. We often advise Business to use these features cleverly. Polls or Survey are used to collect the vast data about a particular product or service in the shortest period of time and the data so collected give the real picture about the performance of the product or service from the customers’ point of view. Competition is used to make your existing customers and newcomers participate in an event to form a loyal community and increase the engagement with your business. Currently, Facebook and LinkedIn are largest platforms for advertising. Both allow psychographic, demographic and geographic targeting, but each caters to a different community profile. LinkedIn is more business (B2B) oriented, where Facebook is typically more social and targeted to the B2C audience. Ad Copy is selected (Ad copy is not provided by us in this Social Media Marketing (SMM) Services. We provide any Ad Copy with Copywriting Services in our Content Marketing Services. Monitoring of all the Campaigns, Analysis, Reports Collection. Finding & securing the appropriate usernames & profiles across the Social Media Sites/Social Networking Sites/Social Networking Apps/channels. Your brand is obviously very important and so our social team will always be on hand to help to turn potential customer problems into praise. We with our Social Media Managers, Social Media Experts, Professionals use all the Social Media Network Platforms where clients have presence and listen who’s talking about our clients, what the people are talking about and what they think about their business, whether it’s positive, how to use this information further in optimization of Social Media Management i.e. for both Social Media Optimization and Social Media Marketing. We ensure that clients also become a part of these type of social media conversation actively and control their branding, advertising, and marketing on the field itself instead of waiting for separate reporting and analysis. We handle everything from LinkedIn Profile Creation with the help of professional writer, experienced professionals, Social Media Expert Team keeping in mind to achieve clients’ business goals. To capture the Facebook Audience and grow their number rapidly, we provide an exclusive Facebook page management service. To capture the Instagram Audience and grow their number rapidly, we provide an exclusive Facebook page management service. To capture the Twitter Audience and grow their number rapidly, we provide an exclusive Facebook page management service. 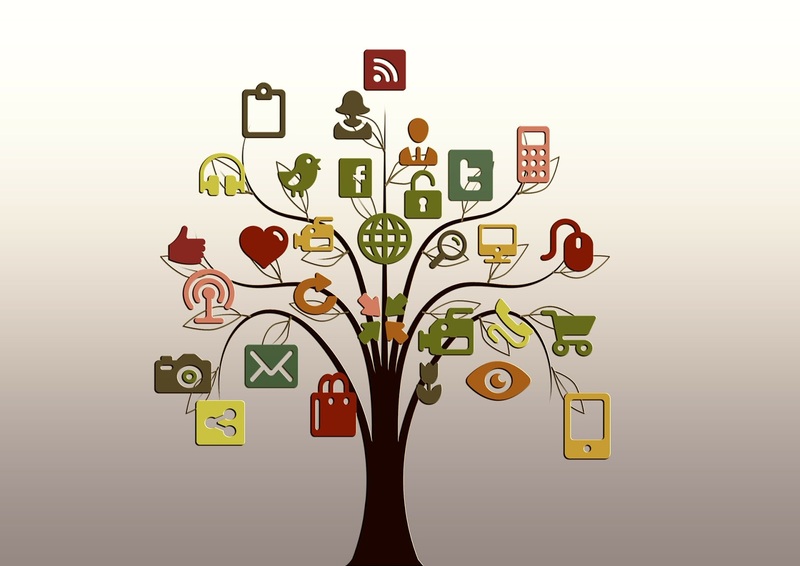 Omkara Marketing Services help develop a social media marketing strategy with clients w.r.t. their business goals. No matter if clients already have their own marketing teams who just require guidance, or you may need us to help build your social presence from scratch. We are always ready to provide our valuable services in every manner with the best approach. We Provide Social Media Marketing Strategy as an advisor with the help of our social media managers, social media consultants, social media experts team. Our social media marketing team helps, discuss with the clients to create fast, reactive updates making their brand get maximum recognition. We provide Social Media Audit Services, we hold a team of ardent SEO experts, Social Media Managers, Social Media Experts to audit, evaluate and raise brand awareness. We use the statistics, metrics collected from the Social Media Reporting and Analysis to check whether clients’ business is performing as per requirement over cross-marketing-channels, cross-browsers, cross-devices to give unified experience to their target audience. If not then we put our sincere and innovative efforts giving our clients an integrated, a coherent and instantly recognizable presence across the internet and apart from the internet. Our social media management services save businesses more time and generate more results. Our company excels in Facebook Marketing, Instagram Marketing, and almost every channel of Digital Marketing Services. Our work shows that our company knows how to optimize your Social Media Sites/Social Networking Sites/Social Networking Apps/social media channels to satisfy your marketing objectives. We can convert your social media advertising investments into more leads, conversions, and sales or any other goal-oriented action. 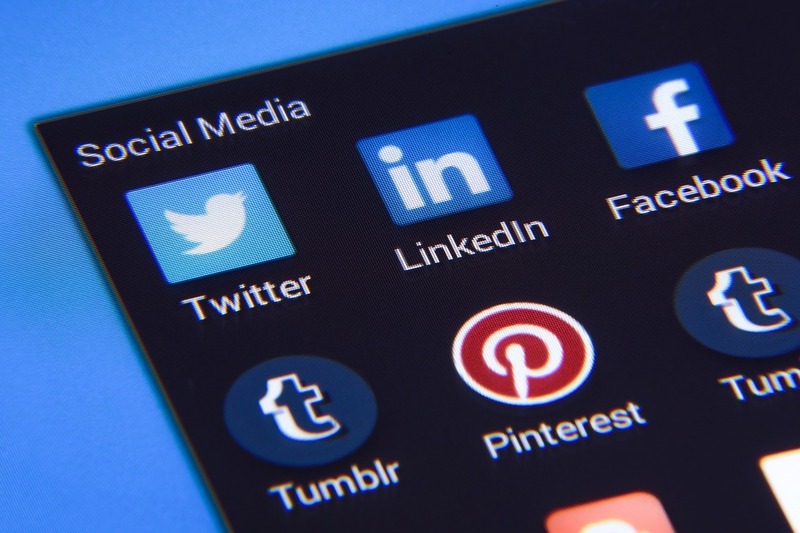 Whether your business is in service sector, real estate, consumer products, or non-profits, our social media management services position your business for success. We always remember that even though paid advertisements are used, the goal should be to educate, not interrupt and that must remain intact. Those paid posts must look and make users feel natural or organic posts instead of paid ads, and this type of performance will provide value for those who see them and they will perform significantly better than the ones that interrupt users’ social experiences. See that the sales process is shifting from ‘selling’ by Business to self-decisional ‘buying’ by customers. See “users”, “followers”, “subscribers” and “consumers” as long-life relationship worthy personnel. Rely on the real facts instead of suggestions, assumptions for that try to Listen, measure, monitor and act with your targeted audience. Prepare your employees for Integrated Marketing Practice and Omni-Channel Sales. Understand the role that social media can play in all parts of the customer lifecycle i.e. Buyer’s Journey. Speak the language your customers speak following the principles of Inbound Marketing. Provide value to your customers, their need, pain-points first. How To Know If Social Media is working? Social Media Reporting and Analysis. A Simple answer is that continuous watch (monitoring), the analysis will only give the answers to these questions. Social Media Optimization Analytics refers to the gathering of data from social media platforms to help inform us and guide our marketing strategy. Social Media Analytics helps you to measure your performance against your social media goals which you tried with Social Media Optimization (SMO) Services. Social Media Analytics is the process of gathering data from users’ (TG) conversations on digital media and processing into structured insights leading to more information-driven business decisions and increased customer centrality for brands and businesses. Then with this statistics in hand, we discuss with you that how to define the further journey and how to Optimize the Social Media Optimization (SMO). Calculate ROI (Return on Investment) for SMM Efforts. Where to modify for SMM. Why Is Social Media Marketing (SMM) Necessary? What Are The Benefits Of Our Social Media Marketing Services? They are live some part of daily life while interacting with different Social Media Sites/Social Networking Sites/Social Networking Apps/Social Media Channels with their friends, colleagues, and other brands in search of information, recommendations, and entertainment. If your company is not around to answer and not reaching in an outbound way, a competitor who has the outbound presence and in doing so, your competitor will take away your customer(s) at hand, along with anyone else listening. If your competitors have establishes their strong presence with the help of Social Media Optimization (SMO) and Social Media Marketing (SMM) then for what you are still waiting for? Don’t invite a damage by yourself to your Business. The lines between social media marketing and Search Engine Marketing (SEM) are becoming increasingly blurred. In the past, the two were looked at as separate and distinct aspects of marketing. But the reality is that they’re more intertwined than you might think. If you want a solid overall approach to online marketing, you need a healthy balance of Social Media Optimization (SMO) and Social Media Marketing (SMM). More shared links help to establish you as an authority to search engines and improve SEO. Facebook, Twitter, and LinkedIn all feature top shared content as “Top Trend”, “Latest”, “Popular”, “Top News”, “Top Tweet”, and “Top Headlines” providing more opportunities to drive traffic. Creating a strong online identity or authority is crucial for any brand that wants to be known and trusted. Social Media Marketing (SMM) along with Social Media Optimization (SMO), helps your business to build a serviceable, relationship-worthy and seamless web presence to help you to establish yourself as an authority in the eyes of your target audience and your competitors also. It gives your brand the needed visibility while educating people about the nature of your business. In order to increase your customer base and get more business, it is crucial for your business to find and connect with your niche audience. Social media is an easy to work on, the multi-purpose tool to establish a relationship with your niche audience without compromising on their preferences or likes/dislikes. People have access to social media during micro-moment of their life. This makes it easy for them to connect with you through their mobile device regardless of their location. Social Media Optimization (SMO), when used with Social Media Marketing (SMM), helps you generate relevant traffic to your website without burning a hole in your wallet. The mountainous advantage being, you can use Social Media Sites/Social Networking Sites/Social Networking Apps/social media channels to reach out to customers on a global level. There are no geographical limitations. And you don’t have to make a huge financial investment for that. Generating high-quality leads can help your business in more than one way. While most businesses are using Social Media Marketing (SMM) successfully to build a stronger brand and get the word out about their product, some of them are quietly leveraging it to gather targeted leads. Aligning with your goals, by tapping into the right social media channel, you can take your lead generation campaign to the next level. 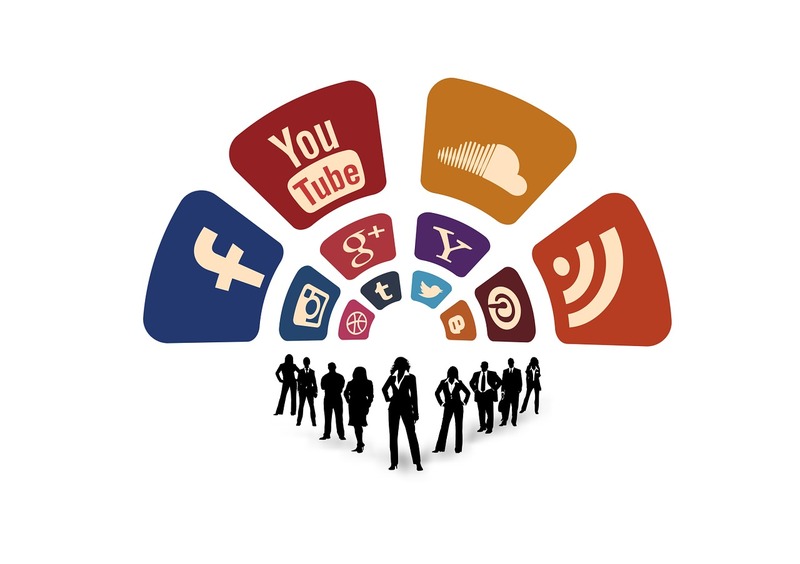 The demand for Social Media Marketing (SMM) Service is rising fast for two main reasons. First, because of its ease of access due to fast developing technology. The demand for Social Media Marketing (SMM) Service is rising fast because it is Cost-Effective than traditional advertising. Companies and even individuals today are increasingly using Social Media Sites/Social Networking Sites/Social Networking Apps/Social Media Marketing (SMM) Service Channels to both support and promote their activities. For a brand, social media is the best way to engage with potential customers and directly initiate a two-way communication with them. If backed by the right social media marketing strategy, your followers can be successfully converted into loyal buyers; existing, as well as prospective consumers can be educated about your products, also creating a human connect by exposing them to various other aspects of your business. 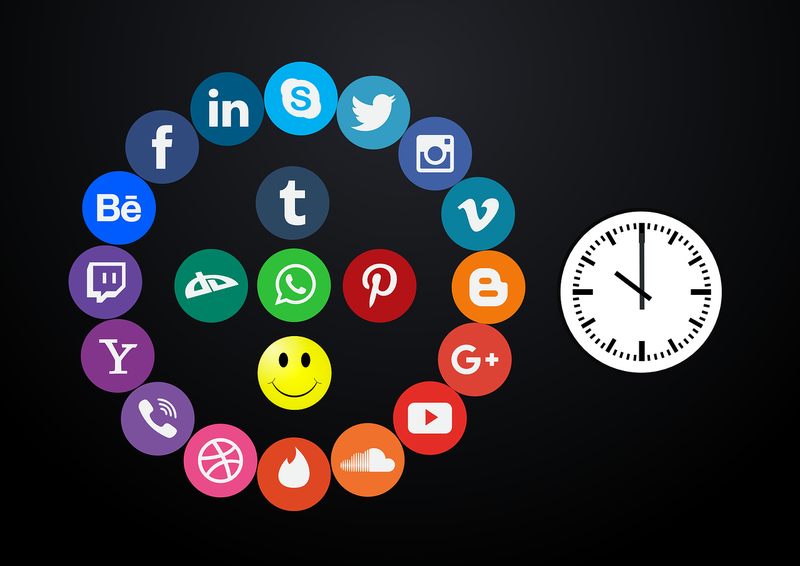 The Social Media Marketing (SMM) Service Strategy, to a large extent, relies on timing. A quick brilliant content piece in response to an event – social, financial, or political -- for instance. Your prompt and swift action on the social media will give you an edge over your competitors. Customers’ decision-making process gets hugely influenced by social media. Brands are, therefore, looking at capitalizing on Social Media Marketing (SMM) Service big time. The platforms where your targeted audience is prioritized so that the targeted audience could be supplied with content that they would happily share with their friends. Compounding effect means getting added in the previous one. Content works much the same way since it’s more or less “permanent.” Whatever content is created for Social Media Marketing (SMM) in the form of a blog, texts, info-graphics, video, a podcast is having a timeline base. Then after a certain period, you create next level content for that previous one and you post it on the fresh timeline. Content so posted on the timeline but new customers or say new people are also coming or will definitely come to your channel so content you posted on the old timeline still useful for the new audience on the new timeline and that’s the compounding effect. This compounding rate of return means your content is always available to you and can help to drive sales. If you create evergreen content in addition to news posts and trending topic-led pieces, you’ll also have a stockpile of information that you can turn to time and time again, whenever you need interesting, useful pieces for emails, slideshows, social posts, and other marketing activities. SMM does not involve search engines but does play a key role in a website's exposure and online marketing efforts. Dealing with search engines require a delicate and constant modifications (on-page and off-page), adjustment of delicate factors Search Engine Optimization (SEO) or outbound efforts of Search Engine Marketing (SEM), and if we use social media then working through social media is relatively cheap and holds the promise of incredibly lucrative growth, if done properly. Social Media Sites/Social Networking Sites/Social Networking Apps/Social Media Channels Are Search Engines, Too. Don’t Forget Bing. Bing, which is the second most-used search engine, has been crystal clear about how their algorithm incorporates social signals into their search results, and, unlike Google, they haven’t flip-flopped on the issue. 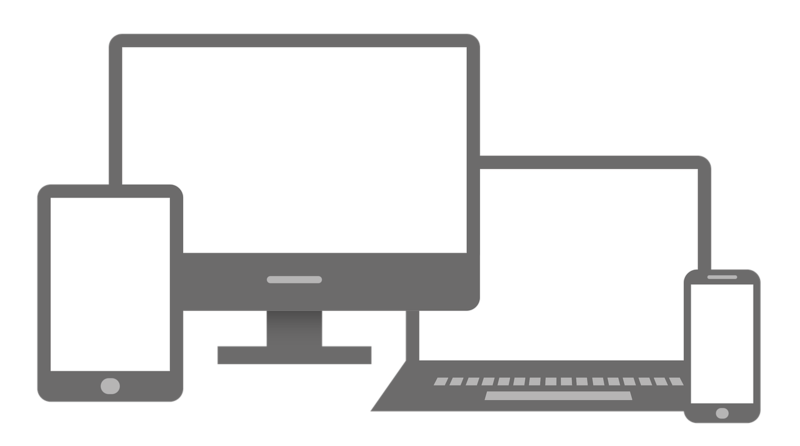 With its market share steadily growing, companies would be wise to include Bing in their Search Engine Optimization (SEO) or outbound efforts of Search Engine Marketing(SEM), strategies. Just because Google says that social signals don’t currently impact search rank doesn’t mean they never will. A company can get direct feedback from customers (and potential customers) via Social Media Marketing (SMM) Service while making the company seem more personable. The interactive parts of social media provide an active platform to the customers giving an opportunity to say something about their experience they got about your products or services, ask questions or voice complaints and feel they are being heard. This facet of Social Media Marketing (SMM) is called social Customer Relationship Management (social CRM). Social Media Marketing (SMM) being an outbound marketing is about using social sites to market your products & services. SMM is usually not about awareness or optimizing but is practiced to generate business leads and traffic to your website. It's more profit oriented. Social Media Marketing (SMM) does not always mean driving sales, but rather increasing your brand awareness, driving thought leadership and creating a community around your products and services. Social Media Marketing (SMM) has come up with the power to make you Omnipresent for every user whether it is your customer or not. SMM helps to drive Omni-Channel Sales and Omni-Device Presence establishing the Real-Time Economy and Business and Trades. Earlier Word of Mouth was limited to a local extent only for any business. Social Media Marketing (Paid Social Media) has made the word of mouth readily available worldwide i.e. experience immediately shared (via like, comments, shares) with your paid social media posts becomes available to everybody attached to these Social Media platforms in any location of the World. 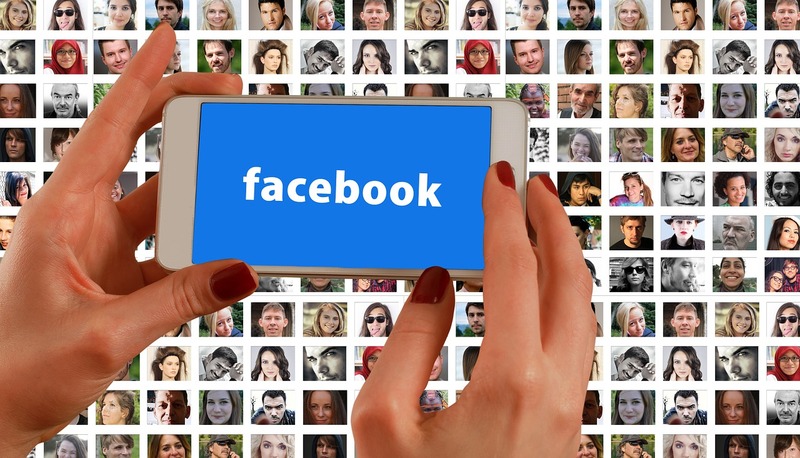 Rather than the traditional news feed mixing posts for both followed friends, groups, and pages, the split news feed feature of Facebook would create one news feed with posts from friends, and another for finding new posts from Pages. Facebook is testing a feature where it will allow users to post Instagram Stories as WhatsApp statuses directly. What does this mean for Pages and public content? Because space in News Feed is limited, showing more posts from friends and family and updates that spark conversation means we’ll show less public content, including videos and other posts from publishers or businesses. Uploading photos and videos on Insta Stories will soon be considered mainstream. The main benefit to Twitter users: When they are interacting with brands on the social network, they will be able to tell if their messages were read by customer-service agents or if a chatbot is in the process of responding, due to the introduction of reading receipts and typing indicators. On the brand side, welcome messages are now nameable and editable, which will help businesses find and use welcome messages when creating Direct Message Cards and keep those messages relevant to social media campaign progress. Content (Image, Info-graphics, Blog Posts, Texts, Videos, etc.) required won’t be created by us for Social Media Marketing (SMM) Services. We can provide Content only through Content Marketing Services. In Social Media Marketing (SMM) Services, we are not going to operate your Social Media Accounts. We will use Social Media Accounts for Paid Advertisements. If you as a business want us to operate your social media accounts then it will be charged separately. We are providing diversified services, but at the time of our appointment, the services finalized by the clients will be selected to deliver the actual services. We have just described the range of services we are able to provide or we deal with and it is not at all that any service will be provided by us under the name of any another service free of charges.